Is the Aussie Dollar signaling that a major commodity low is being established this month? 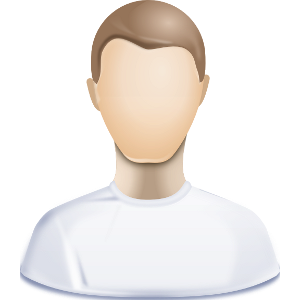 Possible! The Aussie Dollar and commodities have been highly correlated for a couple of decades. The AU$ has spent the majority of the past couple of decades inside of rising channel (1). It hit the top of this channel in 2011 and a long-term decline was underway. As the AU$ has declined over the past 8-years, Commodities, Gold, and Silver have experienced the same thing. 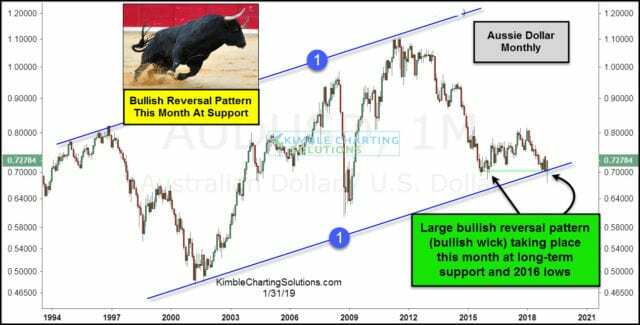 The 8-year decline has the Aussie$ testing long-term support and the 2016 lows this month where a large bullish reversal pattern looks to be taking place. One month’s price action DOES NOT prove that a low/trend change has taken place this month. This large bullish reversal pattern at 2016 lows and long-term rising support could become a long-term double bottom. If this is a double bottom and the Aussie Dollar rallies off this support, hard hit commodities, especially Gold and Silver, could experience a strong intermediate counter-trend rally!